We at CoboToOz appreciate you taking the time and would really like to express our thanks to you for stopping by our website. Please feel free to take a look around the site for tips and information about how to use our swimming accessories and also more about the products themselves and where to buy them. 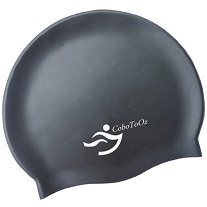 Currently, we are selling silicone swim caps and silicone swim goggles but we are going to be adding many more products over time so please bookmark CoboToOz, or even better, add your name end email address to the box below, and we will send you updates and information on special promotions. We promise that we won’t bombard you with dozens of emails. This website is designed to help you get the most out of your swimming accessories. For instance, there is information on how to prolong the life of your swimming cap by learning how to put it on without tearing it and also how to store it correctly. Also discover information about why silicone has become a big player where swimming accessories are concerned. It really is a fantastic material in many ways. Many people go swimming for a variety of reasons. It is a terrific way to keep fit and stay healthy. It is also an enjoyable pursuit for adults and children alike, and a wonderfully fun family activity. 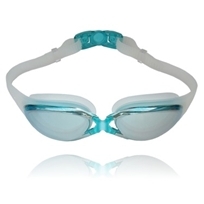 It isn’t necessary to use accessories while swimming, but they can enhance the enjoyment level in different ways. For serious swimmers, a swim cap will enhance their speed because it creates less drag through the water. Goggles will be needed to be able to see properly, especially the anti-fogging type. For children, there are many accessories that help them to learn to swim, such as arm bands, rings, floats and other buoyancy aids. For the swimming pool, appropriate footwear may be required and everyone needs a towel to dry off with. For comfort there are items like nose clips to stop water going up the nose and ear plugs to keep water from ears. Anyway, please take a look around our website and I hope that you find the information useful.